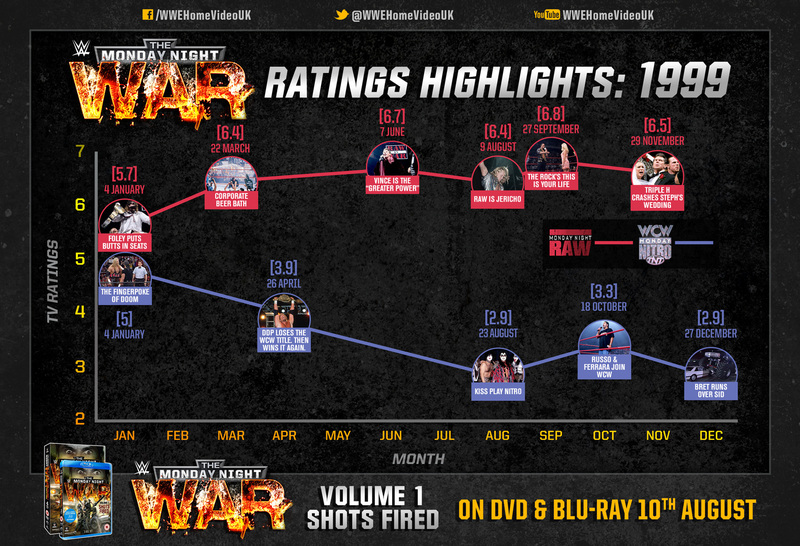 For a lot of you reading this, The Monday Night War was the pinnacle of professional wrestling. To borrow a parlance from the world of comics, if the 80s and the Hulkamania era were the Golden Age of Wrestling, 1995-2001 would be considered the Silver Age of Wrestling, peaking with The Attitude Era itself. 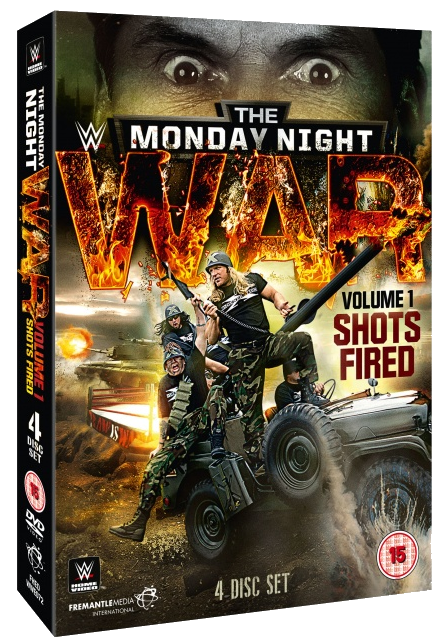 This four-disc set is the first volume in the WWE Network-exclusive series, covering the first ten episodes, and it is genuinely a rivetting show. Kicking off with the lead up to the launch of Nitro, a series of talking heads (who were either a part of the War or are current stars who were fans at the time) discuss the various aspects of both shows, including where both were going wrong, what was done right and, surprisingly, how piss-poor WWE was until Austin and DX ignited the scene. What you get for your money is the episodes themselves as they aired on the Network, followed by a 5-6min discussion as Renee Young poses questions relevant to the topic to both Triple H and Sting, who give a unique insight into the machinations of the War from their respective trenches. A lot of the talking heads are taken from older releases (especially Eric Bischoff and Daniel Bryan, whose hair / beard change length virtually every time he’s on-screen… even when it’s the same topic), but there are also a good number of comments that were actually recorded for the show. Tony Schiavone (who has morphed into Arn Anderson) is one such luminary who gets to give his side of things, especially as it relates to the “HUH; that’ll put the butts in the seats” dig at Mankind winning the WWF Championship from The Rock. 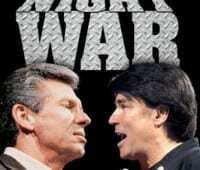 Discussions include the beginnings of the War, DX, the nWo, Cruiserweights, Goldberg, Steve Austin’s rise, Bret Hart’s feud with Shawn Michaels and his jumping ship, Mick Foley, the Attitude Era and Vince McMahon becoming an on-screen character. 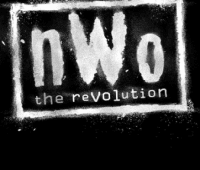 With almost 10.5hrs of content and never-seen-before comments from Triple H and Sting, this should be amazing value, especially with enough time having passed (crazily, it’s 20yrs since Nitro aired and 19yrs since the formation of the nWo) to look at things reflectively and honestly. Of course, with history always being written by the winners, there is “a smattering, and sometimes more than a smattering” of glad-handing on the part of WWE. That being said, the promotions failings during the tail-end of the New Generation era are critiqued honestly and WCW’s successes are equally honoured. For his part, Sting seems to just want to get out of there and does not seem comfortable at all. He does talk, but for a lot of the segments, he doesn’t actually say a lot. Meanwhile, on the other side of the fence, Triple H is overflowing with pertinent dialogue and is a joy to listen to. Renne Young, for her part, does a great job of introducing the episodes and posing the questions to the two semi-retired wrestlers. There’s lots of little memories you may not remember, like Terry Funk piledriving someone in a stable then getting kicked by a horse, that put a smile on your face, but having the actual show opening (including the “serious monologue” voiceover) for every episode on the set is damn annoying. Daniel Bryan’s hair and beard changing length from scene to scene also becomes a little game you can play by trying to place when it was filmed and kudos to who decided the Sting / Triple H recaps would be conducted without a table (and yes, that is in reference to Renee Young’s legs being on show). The big question when it comes to rating the release is whether it’s value for money. With virtually everything the promotion releases also being on the Network, reviews are going to need a two-tier rating system; one for those with Network subscriptions and one for those without. The former have probably watched all of these already (as I said, it’s a great show), so the selling point for them is the Sting / Triple H sections that chronicle what has just aired. The latter most likely haven’t seen it, so to them this is easily a must-buy title… if they have no intention of subscribing to the Network.